The curiosity is over. I ate it and was disappointed. Expecting it to have the texture similar to radishes – I was told that by someone who loves radishes and had eaten the fruit – I was glad that it didn’t. Distinctly flavorless as a whole, the soft black seeds give it a fun, crunchy feel in your mouth. In fact, if there was an easy way to extract the seeds, that is what I would eat instead. 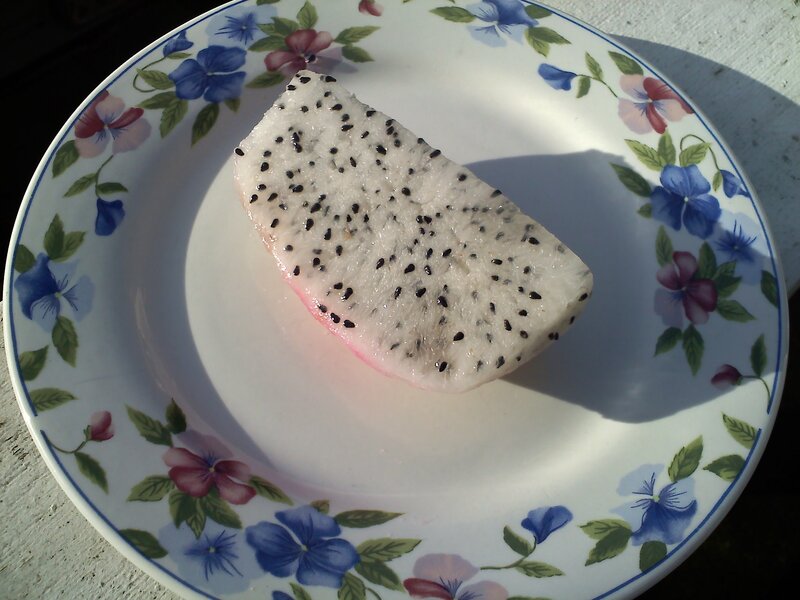 The white pulp around it has a somewhat gelatinous feel, at least when it’s ripe, such as this piece that I ate. 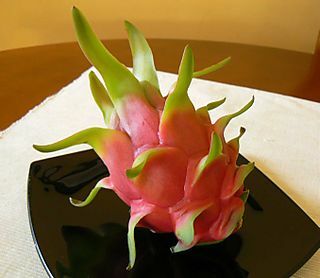 As a tropical fruit, however, it has not a biting taste or sweetness that would make it unforgettable to the senses. It may, however, be a perfect diet fruit: I felt full after a couple of slices. As beautiful as it was on the outside, and even an interesting view once undressed, I have decided this obsession is over.